Are you Ready to Race? CrossFit Rowing Trainer Course June 8-9 Boston! With a 2k Test coming up on Saturday we want to be building our confidence both mentally and physically. 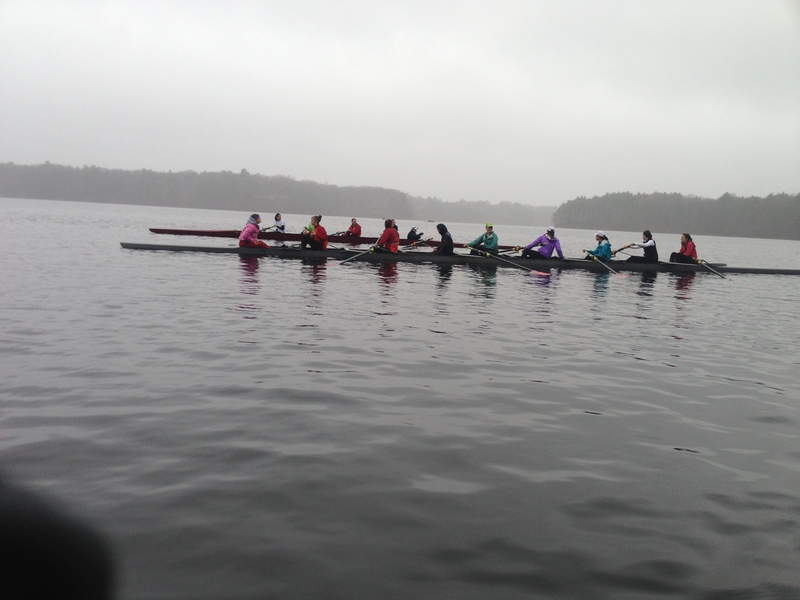 Today’s Rowing WOD is an opportunity to practice staying fresh and crisp at race pace. Be consistent each round and settle into the pace, both split and stroke rating, you plan to hold through the body of your 2k. Scale the deadlifts as necessary so that they are challenging but can be done unbroken while still allowing for enough recovery to hit your splits. The run at the beginning and the end is a chance to get that breathing going and get fired up to push yourself on Saturday during the start and finish of your 2k. Focus on breathing, getting the legs down, and quick clean finishes. Post your overall time and average 500m split for each round to comments. 12:34 1:50.4 split Great wod Coach! Thanks! Nice split! Way to crush it!